I spent most of the day in and out of bed trying to will myself into wellness. My daydreams took my to warm weather, blue skies, and good food so this image seemed an appropriate one to share this evening. 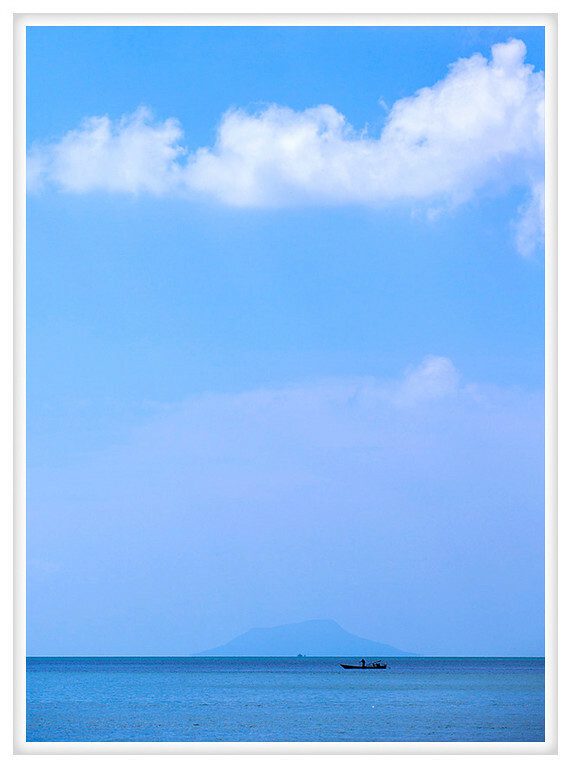 This was taken in the coastal town of Kep, formerly Kep-sur-mer under the French. It is a peaceful community famous for their crab and our visit there was quite relaxing. A little off the beaten tourist path, it was really tranquil and a shady place along the waterfront would be an ideal place to spend a day.